In an interview with 'The Wire', Waheed talks about his new book, the sensibilities of an author from a conflict region and pellet guns. New Delhi: On Tuesday, February the 5th, British Kashmiri author Mirza Waheed’s third book, Tell Her Everything, was launched in New Delhi’s Oxford bookstore to a packed house. Waheed’s debut novel The Collaborator, published in 2011, was an international bestseller and a finalist to the Guardian First Book award. His second, Book of Gold Leaves was published in 2014 and was shortlisted for the DSC Prize for South Asian Literature. The author has worked with the BBC and written for The Guardian, Granta, Guernica (magazine), Al Jazeera English and the New York Times. Tell Her Everything‘s protagonist is a successful Indian doctor who has immigrated to an unnamed city. The book deals with the dilemma the protagonist faces in telling his daughter every little secret of his life, the choices he made and the stories behind his successes and his failures. 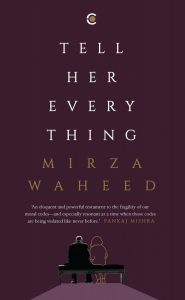 In the book, Waheed said during his reading, the protagonist is rehearsing a dialogue with his daughter to tell her “everything”. Without delving into the plot further, the audience was told that the book’s primary theme is a father trying to unburden, to justify and share the pains of the moral predicament he faced while supervising medical procedures sanctioned by the state’s penal code and notions of humane behavior and justice. The event’s moderator Ambrish Satwik observed that the protagonist is a “collaborator of sorts”, which in fact was the main character of Waheed’s first novel, The Collaborator. In this book, the eponymous narrator is employed by an Indian army captain in a border village of the conflict hit Jammu and Kashmir. Publishing veteran Karthika V.K., inaugurating the book, made an interesting remark. She said that unlike most book launches she has conduced, the audience here was sombre, which she thought was fitting for a serious writer like Mirza Waheed. Tell Her Everything , just like Waheed’s previous novels, is both a personal and a political affair. The Wire spoke with Mirza Waheed on Tuesday to discuss his life and his latest book. The interview has been lightly edited for style and clarity. How much does the Kashmir conflict shape your writing? This is a question asked to writers coming from regions of conflict and it will be dishonest to say that conflict does not inform your sensibilities as a writer, but that is not all. There are influences from what you read, your childhood. What kind of stories your grandmother and mothers told you is also an influence. If you have to trace the arc of a writer’s imagination, you might have to go into those early years of listening to tales. Then there are, of course, the stories of the conflict. For example, people narrate what happened to them at PAPA 2 (an interrogation centre in Srinagar) or what happened in an (armed forces) camp. Kashmiris are storytellers… so all these affect your sensibilities. Do you think that authors have an obligation to inform the wider public or global audiences about these sensibilities? I don’t see it as an obligation or as a burden of representation. I understand and respect the expectation of one’s people from authors to inform the world about them. Why shouldn’t people expect a Kashmiri author to talk about Kashmir? It’s a fairly natural thing. At the same time, a writer is more than one part. What do you see as most important aspect of your writing? For me, memory is vital. I see memory as a great source of my work. Of the three books you have written, which character do you relate with the most? Which was the most difficult to write or create? I found out after writing The Book of Gold Leaves that Ruhi was the heart of the book, even a shade more than Faiz because she presents that moral centre. She is aware of everything and sees the injustices meted on the people around her and yet it doesn’t harden her. She is angry, but it doesn’t fill her with hate. She understands her place in that society very well. She knows who she is. I liked writing Faiz too. Similarly, the unnamed narrator from The Collaborator was born out of intensity. I felt a lot of anger growing up in Kashmir as a teenager. Some of it went into the unnamed narrator, but it is not an autobiographical character. So you could relate with Ruhi the most because she knows the injustices around her, but wasn’t hardened by it. Yes, but I also enjoyed writing Kadian. He is an interesting character because he does have a certain kind of humanity, twisted in the end, but he too is a victim of the job he is asked to do. During the 2016 agitation you wrote two essays on the blinding of Kashmiri youth by pellet guns. In one, you asked if the Indian state’s response to protests that erupted after the killing of Burhan Wani, were actually the world’s first ever “mass blinding”. 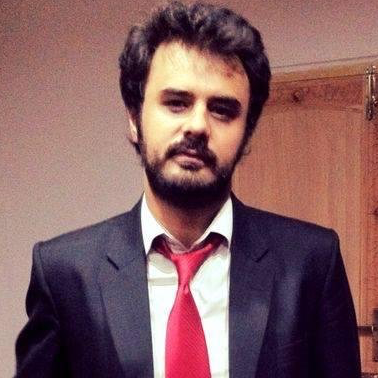 I have been deeply upset, and not just as a Kashmiri writer, but as a human being. That moment, that period, was deeply upsetting and I had so many troubling questions. I asked myself, “How did we get here?” We witnessed what the Indian state did in Kashmir. It was wilful blinding of people and it was something I held on to in my head. I could not my sleep and began thinking of ways to deal with it, to examine it. The only way available to me was to write about it. I took months to think about. Also, when you are away, when you are not there (in Kashmir), that presents a challenge as well. It does present an opportunity of detachment, where you can have some clarity. But the fact is, you are not there on the ground. So I wanted to dig deeper, to study the history of these weapons and what the world says about this. Clearly, blinding due to pellet injuries is something you feel extremely emotional about. Today, when you release your third book, as someone both reads and writes, do you have something to say to those blinded youth who may never read again? I was disturbed to see that not a lot was done in our society, by our society, about the treatment and rehabilitation of these children That was troubling. This raises important questions. What happens to societies that are torn by conflict? What happens to communities, to relationships and to people who have lived through a long long war? But then again, I was careful, as I am a writer living abroad. I can’t be giving sermons, and I am deeply aware of this, though I have a right to comment and it doesn’t matter where I am. 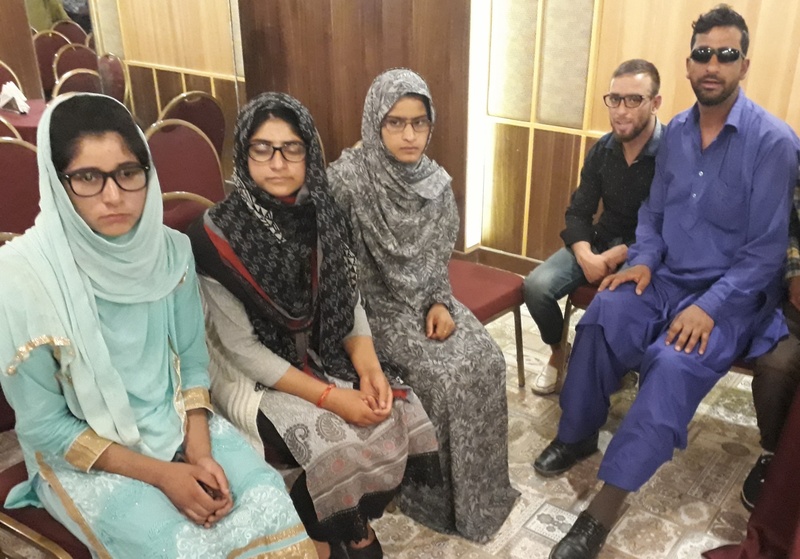 I wanted to shout and scream, asking why Kashmiris aren’t rising together to say, “We are going to do whatever is possible for these children.” But this is not a suggestion that nothing has been done. I am very aware that people have individually done a lot (for pellet victims), but overall, I think it was not enough. Somewhere along, there is a failing there, and I want to choose my words carefully. The state did what it wanted to do and there is no credibility in the narrative that the guns were for crowd control. It was not an “oops moment”. The system the state has put in place resulted in the blinding of children, young girls or boys. Whether they are protestors or not, it does not matter. But there is a system in place to do this and the blinding was not an aberration. Protesters or not, you cannot blind people. Coming back to your books, if we have to find a common thread in your three books, what would that be? That is for the critics to decide. But I am genuinely interested in what people think is a common thread. What do you think? I think in your first two books, there is a lot of emphasis on the grey zones of our lives in Kashmir. I like to write about marginal characters. I am interested in them, but I am also interested in ambiguity, as you’re rightly said. What you called grey zones, I like to call it ambiguity. What would you ideally like to write about next? There are many things that I want to write about, but at the moment, all of them are parked somewhere. One day I will finish them. Many years ago I found a book by a Japanese photographer in a private library in Tuscany, Italy. The photographer visited Kashmir in either the 60s or 70s and he describes being in the Dal lake and on the Shikara. He describes Srinagar as the Emerald City. That has stayed with me. He described the lakes and the azaan and one day, I will write about my home, the Emerald City. Any advice for aspiring authors and writers? Take your time, don’t hurry. I also want to say to them, “print and read”. Repeat the process several times, because things on screen look better than they actually are.